Possibility to spend the night at Kuala Lumpur airport (KUL), if open 24 hours. Services available, places to rest (free resting zones), or look for the list of nearby hotels and vip lounges..
Kuala Lumpur airport operates with many flights and connections, so movement is usually constant, even during the night. Earplugs are necessary for a good rest. The place can get pretty cold, so have something warm at hand. Where to rest: Although it is possible to find many seats throughout the enclosure, the main terminal has the most comfortable options. The food court of the second floor is a particularly quiet place. 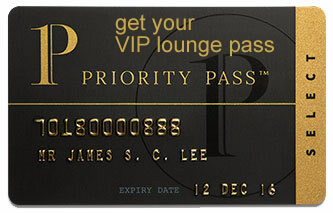 There are several VIP lounges inside the airport, some of them open around the clock. However, keep in mind that they generally have a maximum stay. SEE VIP LOUNGES On the other hand, there are transit hotels in both terminals and a couple of options connected to the enclosure. Baggage: Lockers and 24-hour left-luggage service in both terminals. Restrooms: Besides the VIP lounges, free showers are available on the fourth floor of the main terminal. Wi-Fi: Free for 3 hours. Other services available around the clock: ATMs, convenience stores, baby changing facilities, children's playgrounds. On the mezzanine level of the satellite building is situated the Sama-Sama Express (Tel +603 8787 4848), with another facility inside the satellite building of KLIA2 (Tel +603 8775 6600). The Capsule by Container Hotel (Tel +603 7610 2020) is found on level 1 of KLIA2. On the other hand, there are hotels that are connected to the enclosure through covered walkways, such as the Sama-Sama Hotel (Tel +603 8787 3333) and the Tune Hotel (Tel +601 8787 1720). Other accommodations provide transfers to and from the airport. The YouniQ Hotel (Tel +603 8706 6988), Aerotel Malaysia Transit Hotel (Tel +603 2300 3333), Concorde Inn KLIA (Tel +603 8783 3118), Homestay FR KLIA (Tel +601 2679 1920), Hai-O Hotel (Tel +603 8705 2020).